Artbay Gallery Exclusive Exhibitions presents Lake, a moving image experience by Sam Foley. 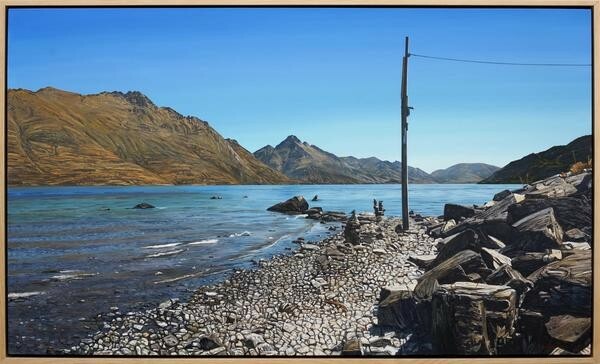 Inspired by Queenstown’s picturesque lakefront and the omnipresent Cecil and Walter Peaks protruding from the edges of Lake Wakatipu, Sam Foley paints shimmering waterscapes in beautiful blue hues. Bringing together landscape painting and digital projection, Lake showcases moving image paintings which shift and change, using light and texture in a complex way. A simulacrum of a simulacrum, the images move gently yet with incident. Sam Foley is an award-winning artist from Dunedin, New Zealand.